The 2019 Honda CR-V perfectly straddles the line between rugged design and modern sophistication, this is the perfect SUV for any lifestyle. Featuring sophisticated materials and innovative touches like the available leather-trimmed seats with driver's seat memory, the interior signals refinement. *Drive Attention Monitor standard on EX, EX-L and Touring. Touch, pinch and swipe your way through music, podcast and navigation with the beautiful 7-inch Display Audio Touch-Screen. Stay connected everywhere you go with the available Android Auto™ and Apple CarPlay™ compatibility, USB connectivity and SiriusXM® Radio. The multi-angle rearview camera* lets you choose from three angles - normal, top-down and wide - for a better view behind you every time you reverse. *Honda Sensing® standard on EX, EX-L, and Touring. At West Hills Honda, where the smart shoppers buy. Proudly serving drivers from Gig Harbor, Bainbridge Island, Port Orchard and beyond. 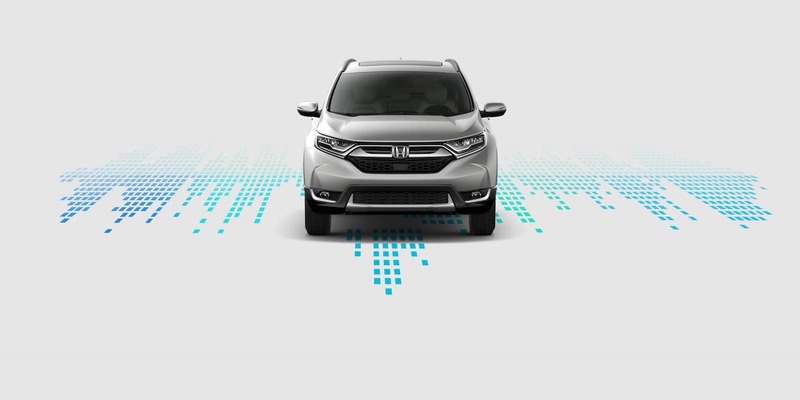 For more information on the 2019 Honda CR-V or to schedule a test drive, contact our sales staff or visit us in Bremerton today. 2019 Honda CR-V Honda CR-V 2019 Explore the 2019 Honda CR-V at West Hills Honda in Bremerton, WA. A 2018 KBB Best Buy winner, designed for comfort and performance, shop now.